Cape Town has quickly become one of my favourite places in the world. We have explored the city on our own, with visiting friends and family, and now with our 3 small children and dog! If you know of any events / shops or places that aren’t on our list - let us know in the comments section at the bottom of this page. Why Noordhoek? It’s much quieter than Cape Town particularly at this time of year, and wonderful place for families, close to a number of beaches a few wonderful family friendly restaurants, farm shops and deli’s. Previously we have booked houses through Cape Holiday Lets (now known as Cape Villa Collection), who specialise in Family Friendly homes, this year however we went for a place through Airbnb which was much cheaper. The majority of our time will be spent on the beach, and at the Farm Village in Noordhoek. Whilst the sea at Noordhoek is flippen freezing there is a little rock pool for the kids to play in, the sand is soft but fun to play a bit of cricket or ball, plus there is horse riding. Then to play in sea and build sand castles we usually head over to Fish Hoek (which isn’t as pretty but much more functional for the kids), with parking right next to the beach, a little cafe for ice cream and a jungle gym. There is Cape Point Vinyard which has a brilliant Market on a Thursday, stunning views, wonderful picnics, plus a jungle gym! Certainly be here for the odd sundowner, and long lunch. Noordhoek Farm Village - most mornings we will pay the deli a visit on the way back from my run (or hung over stroll down the road) to pick up croissants and fresh bread from the deli. In addition to the deli, there is a chilled out cafe (Cafe Roux), which serves great brunches (my favourite is the eggs Benedict with courgette rosti, its incredible!) We have spent many a meal here, meeting friends, listening to live music, generally eating great food, drinking lovely wine and enjoying life with friends. The more up market restaurant - The Food Barn, is one for sunday lunch, evening meal or special occasion. Then there is sushi and tapas - both also deliver! The past few months I have really enjoyed taking part in the Delta Park Run, so I am excited to check out different Parkruns in Cape Town. Parkrun is global movement, voluntary operated 5km timed runs, that start at 8am each Saturday morning, I have found it to be a wonderful community event, with range of ages and fitness levels taking part. In addition to the play area and restaurants there is also accommodation and few shops, and it is all sat at the base of Chapmans Peak Drive. Quite simply this place is the reason we return to Noordhoek, its not often you get incredible food, wine, variety and wonderful activity for the kids. We have friends staying next door at Kommeji and Scarborough, so our meeting place will probably be - Imhoff Farm - which has a number of activities for the kids to do (camel rides, petting zoo & newly opened 3D wooden maze), a beautiful view from the Blue Water Cafe, and great farm shop with wonderful cheeses, and old fashioned chutneys (love their Apple and Date chutney), good to note the Blue Water Cafe also does take away! Frankie Fenner Meat Merchants - who source their beef from small independent farmers, the majority coming from Eastern Cape. Its all clean, ethnical and sustainable. Fish - straight out of the sea from the guys at Kalk Bay Harbour, also Hout Bay is meant to be good! and Little Saint - great new restaurant serving real food. The staples we will do an internet shop at Woolies so we don't have venture that close to shopping mall during our holiday. Many of our friends are also staying in the area, thus babysitting and visiting restaurants may not be as easy, so we have decided to hire in a private chef for a meal or two, to bring the yummy food to us. We adore cooking, but it will be nice to sit back and relax for the odd night. Neil Anthony has been highly recommended to us - but we are on the look out for another chef if you know of anyone? Love this quirky little place, there is always a new cafe, coffee and smaller art gallery explore. We tend to get our fresh fish here to take home and braai, straight from the guys at the habour who are skinning and gutting them for local restaurants and suppliers. Harbour House is also a firm favourite of ours, probably not with younger kids (we will be having fish and chips on the beach), but for older kids or no kids its certainly worth a visit! We may even take the train to Simons Town - see the penguins have lunch at the Meeting Place Upstairs, or The Salty Dog for fish n chips. On route to Hout Bay we may stop off at Jonkerhuis at Groot constantia - we have had lovely brunch and incredible curry for lunch here, its very relaxed with lawn for kids to run around. Kitima Thai Restaurant - we have heard nothing but great things and are excited to give it a try this year. You can’t really visit the cape without at least one lunch in the vineyards. Here are some of our favourites. Babylonstoren - the most talked about wine estate, tables very hard to come by, organic farm shop (which does sell online), spa, hotel, gardens, restaurant. Dieu Donne - Franschhoek. The terrace below the restaurant overlooks a lawn with a sandpit and a glorious view of the valley, simple food with a kids’ menu, and beer brewed on the spot in a micro-brewery. Buiten ver wachting - its always been fully booked so yet to try - but heard great things! Warwick, Brilliant for kids, who can play in the fountains, and run around the big lawn. Then there is a Safari truck wine tour with beautiful views and grape picking for kids. La Mottee - Has a number of walks / hiking trails through the fynbos along a scenic mountain route. This wine farm works hard on biodiversity and if the kids are interested in indigenous flowers, you can do a tour through the greenhouses. They have a wonderful family Sunday lunch, but its very popular so need to book. A trip to Cape Town wouldn’t be complete for our kids (or Matt) without a trip to the aquarium. I am hoping to escape to a Gin Distillery Gin Bars are popping up all over the place. I’m beyond excited to swot up on it! Or escape to the shops whilst the kids are enjoying the fish. The Watershed at the V&A Waterfront, opened in 2014 and is now a beautiful space showcasing the best of social entrepreneurship in South Africa, many of the items here have been made as part of skill share and development projects. De Waterkant - great for lifestyle shopping, creatives, artists, home wear, boutiques and coffee shops Grab your coffee from the .Origin Coffee. Mungo and Jemima - beautiful and timeless pieces all hand picked from some of South Africa’s most well known designers, shop on Long Street and V&A Waterfront. A few last minute Christmas Presents Ill pick up from the Kin Shop - all South African designers stocking the most beautiful items. Truth Coffee in Buitenkant street, the Telegraph named it as the best in the world, along with Amercian Website - Daily Meal naming it as their 2nd coolest coffee shop in the world! If you go at night they also stock Hope gin!!!! Test Kitchen - One of the worlds best 50 restaurants! Try to get in quick as Luke Dale Roberts the chef is up to Joburg in January to host a new restaurant at the Saxon. If you aren’t heading to the restaurants at the Old Biscuit mill not to worry there are world class coffee shops and South Africa’s best ICE CREAM - the Creamery (which is an absolute favourite of Lizzet co owner of Nomads and Co) their naartjie and chic chip being the best a truely south african flavour. 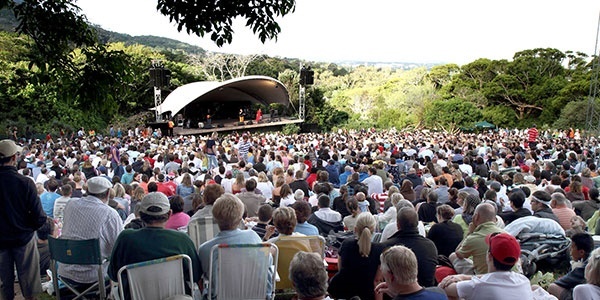 The open air Summer Concerts at Kirstenbosch are fabulous, and each year Rotary Club organise a Carol Concert. Be aware that these are Carols by Candlelight so don’t start until around 8pm, and its a long walk from the car (with children and picnic stuff), but if you manage all that - its well worth it, to sing carols under the stars with beautiful view. Memories I will take with me forever! It’s a very special atmosphere, for a very special event. We love to go to a Carol service and Christmas service at some stage over the Christmas period, so this year we will either head to St George’s Cathedral in the city centre, or our friends church at Christ Church Constantia. Scarborough Beach - New Years Eve Sundowners - The local community all head down to the beach, to toast in the new year as the sun goes down, kids, dogs, and couple guys with bag pipes, this is a secrete gem not to be missed. Sadly many of the Christmas events in the wine farms and markets take place at the start of December, there is the famous Uncle Pauls Children's party, which we have never managed to be organised enough to get tickets for, but I hear is well worth it, particularly for older children. Newlands 2-6th January 2015. Lucky to have tickets will probably have a girls day, boys day and kids day! Lana provides insights into the best gems in Cape Town, giving up to date news on new restaurants, shops and creative tours. The Stellenbosch Mom - Great article on Wine Farms and kids! Becoming You - Great post on things to do with kids in Cape Town, brilliant indoor ideas if the weather is a little windy! Share your highs of Cape Town in the comments below. 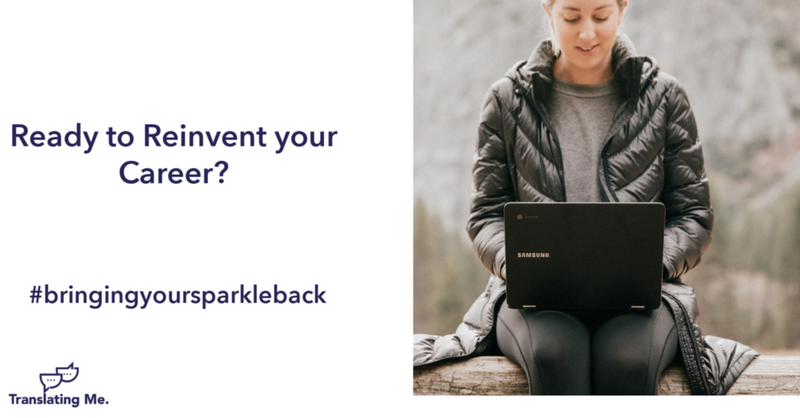 Please note this blog is all my own personal opinions, I always declared when I have been paid or sponsored to showcase a product or service.